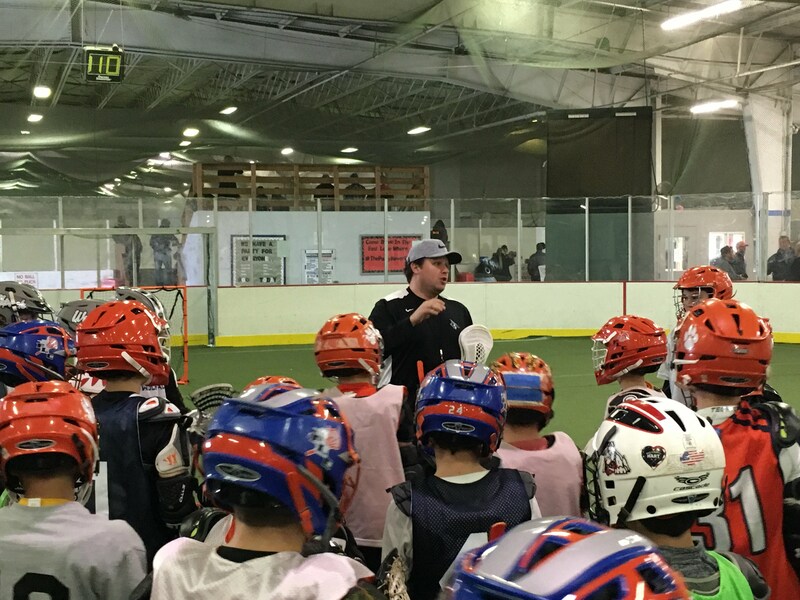 Spring 2019 player evaluation schedules have been finalized. Evaluations will take place on Sunday, January 20th and Sunday, January 27th indoors at the Maryland Sportsplex in Glen Arm. 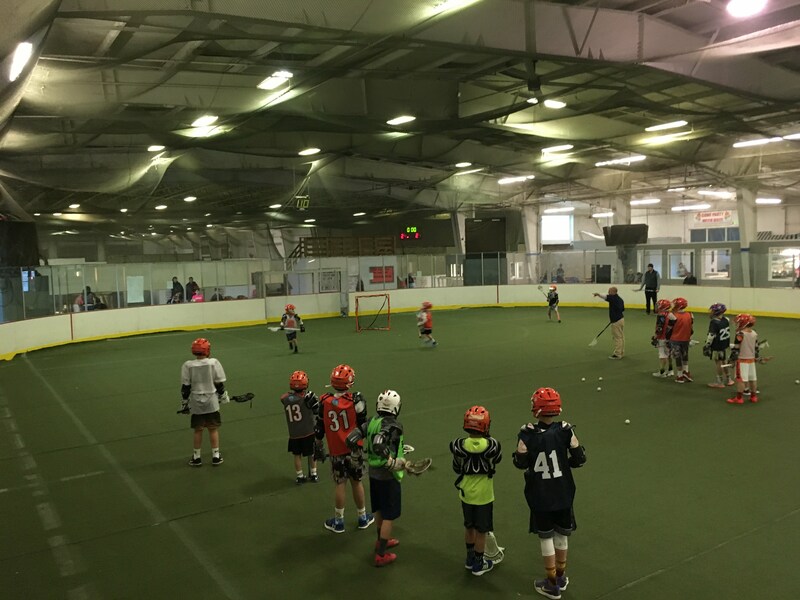 Space in this facility is limited so some age groups have been split due to the number of players in attendance. 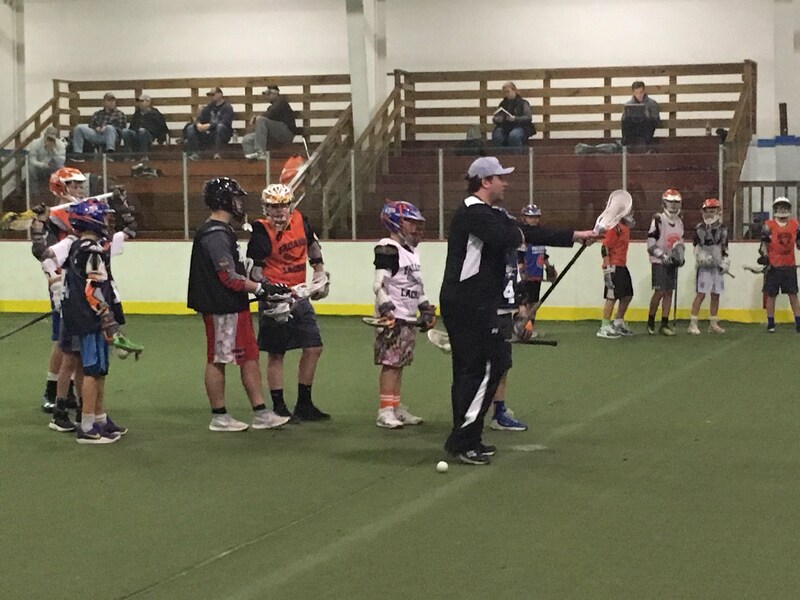 For the 1/20 evaluation of 7-8 and 11-12 age groups, players are grouped by last name in alphabetical order. Softstick (3-4), Clinic (5-6), and Junior (13-14) age groups will not be participating in evaluation sessions. 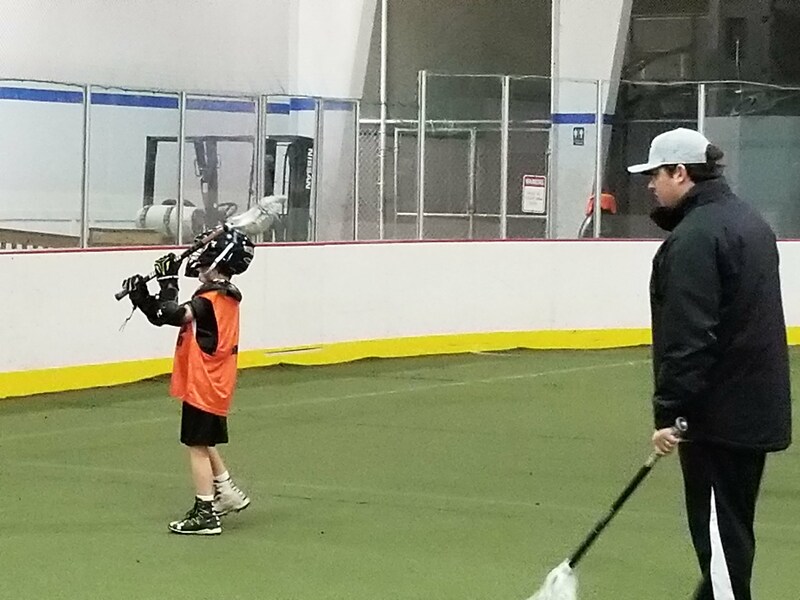 Online registration for the Spring 2019 Fallston Rec Boys Lacrosse program remains open but the program will also be holding walk-in registration sessions this Saturday, January 5, 2019 and next Saturday, January 12 from 8:30 AM to 10:30 AM. 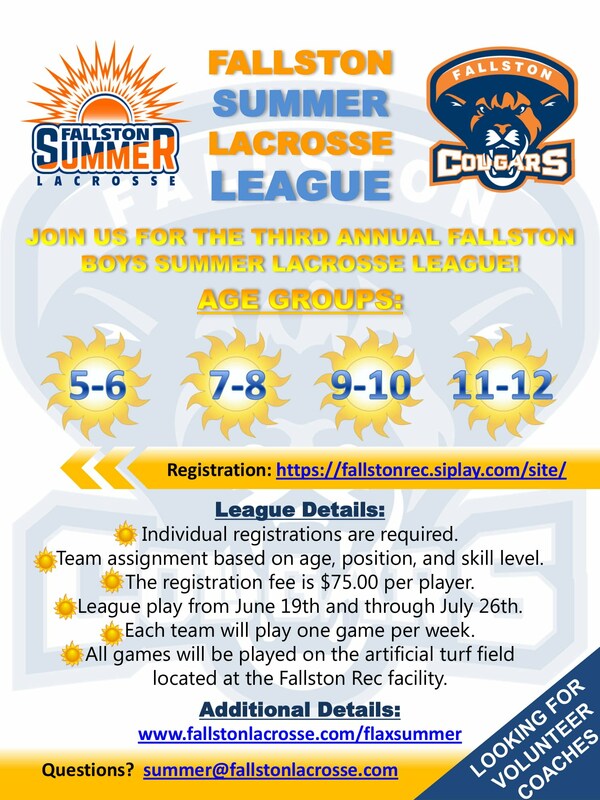 Registration will take place in the Chenowith Activity Center at the Fallston Rec complex. Lacrosse equipment will also be distributed at this event. Any Clinic (5-6), Tyker (7-8), Lightning (9-10), Mids (11-12), or Junior (13-14) players who have registered and will need equipment for the 2019 spring season can pick it up at the same time and location. Please bring a check with you to the equipment handout for the program to hold as a deposit on the borrowed equipment. This check will be returned to you upon the return of all borrowed lacrosse equipment. Softstick (3-4) players will not need equipment. There will also be sample uniforms available for sizing at this session. Any Tyker (7-8), Lightning (9-10), Mids (11-12), or Junior (13-14) players who have registered previously or will be registering can come in to try on the 2019 uniform. The Softstick (3-4) and Clinic (5-6) age groups will not play in these uniforms and do not need to be sized. 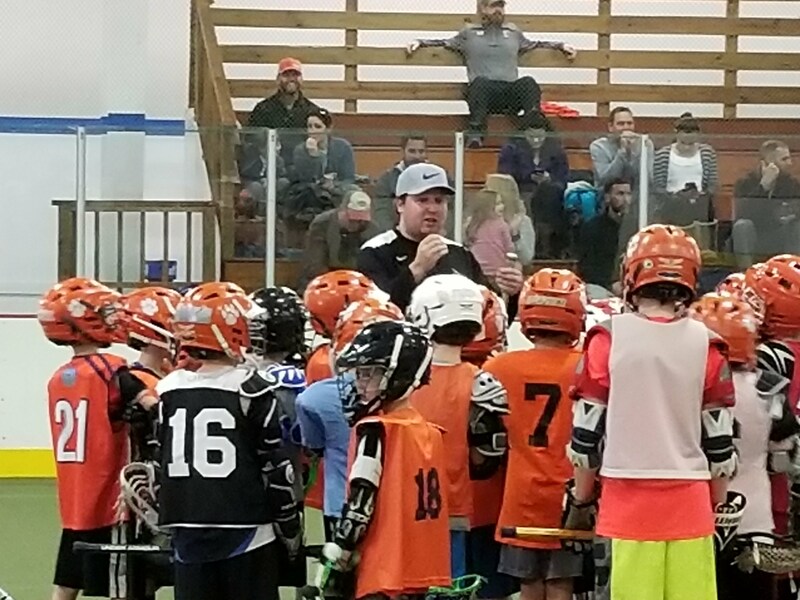 Any parents interested in coaching for the 2019 season should register themselves through the SI Play website. Registration to coach is free. This will allow the program to track coaching interest at the different age groups and include all interested volunteers on coaching mailing lists. 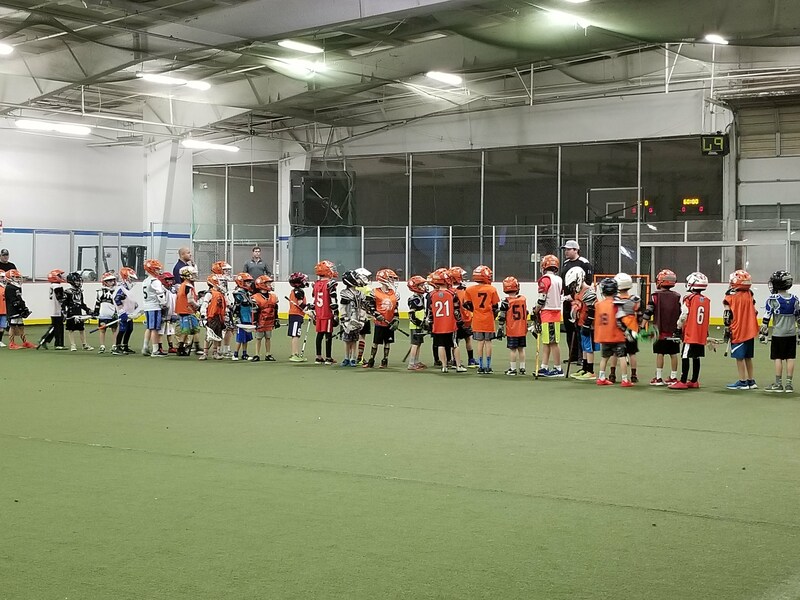 On-line registration for the Fallston Rec Boys Lacrosse Spring 2019 season is now open! Registration will remain open from November 8, 2018 through February 27, 2019. Full details and instructions on how to register can be found on our Registration Page. 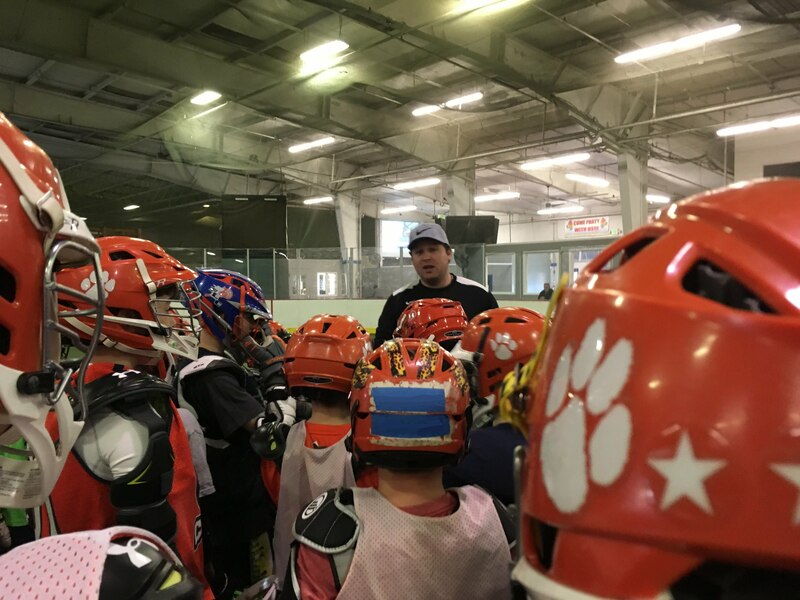 Prior to registering, please be sure to read the information on our Programs Page describing travel and in-house league alignment. Equipment: There will be equipment distribution and uniform sizing sessions held on January 5th and January 12th at the Chenowith Center. If you need equipment, please bring a check for $175. The check should be post-dated for June 2018 and will be held by the program as a deposit on any borrowed equipment. Additional details coming soon. Evaluations: Spring travel evaluations are tentatively scheduled for the weekends of January 20th and January 27th. 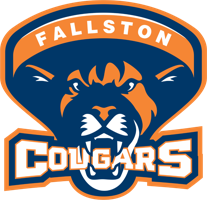 All players wishing to tryout for Fallston Rec travel teams must be registered prior to the evaluation dates and attend at least one session. 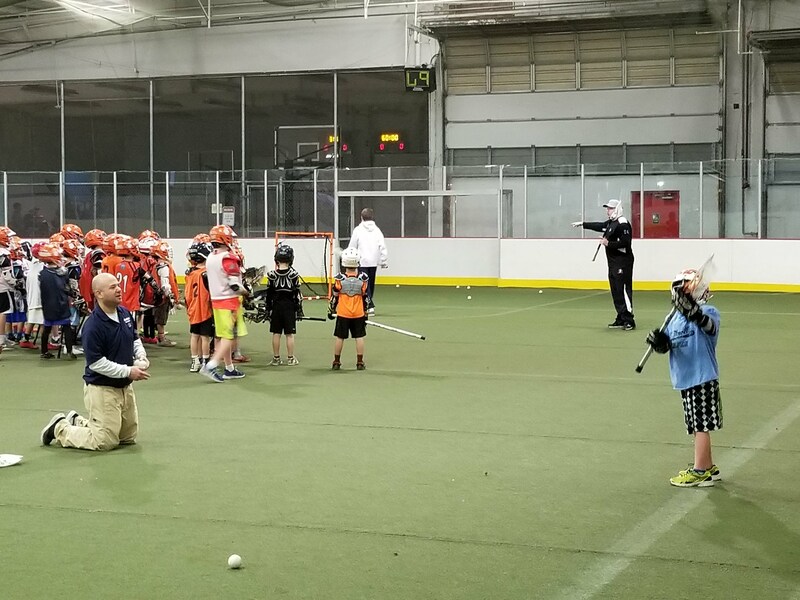 Soft-Stick: Soft-Stick lacrosse will be returning to Fallston in Spring 2019. 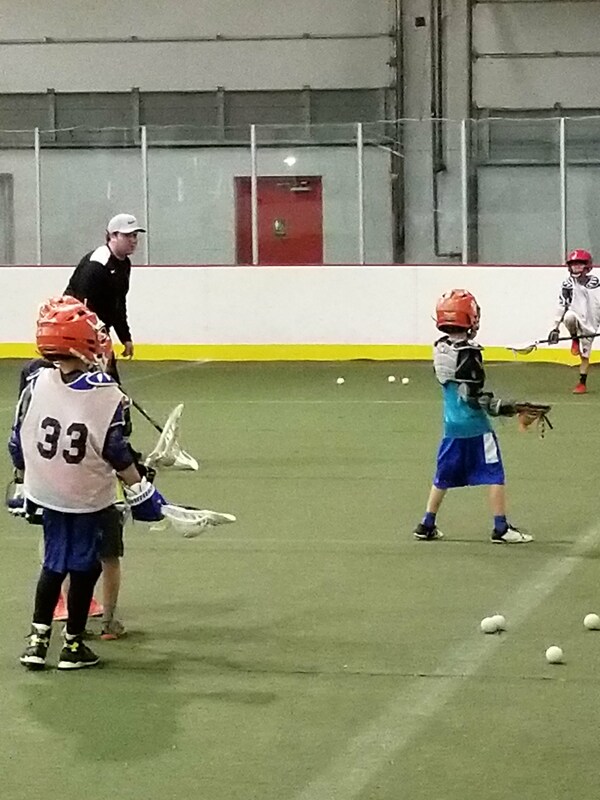 Open to boys ages 3 and 4, this program acts as an introduction to the sport of lacrosse in a fun, non-contact setting. Registration is now open and we are looking for any interested young players or volunteers. 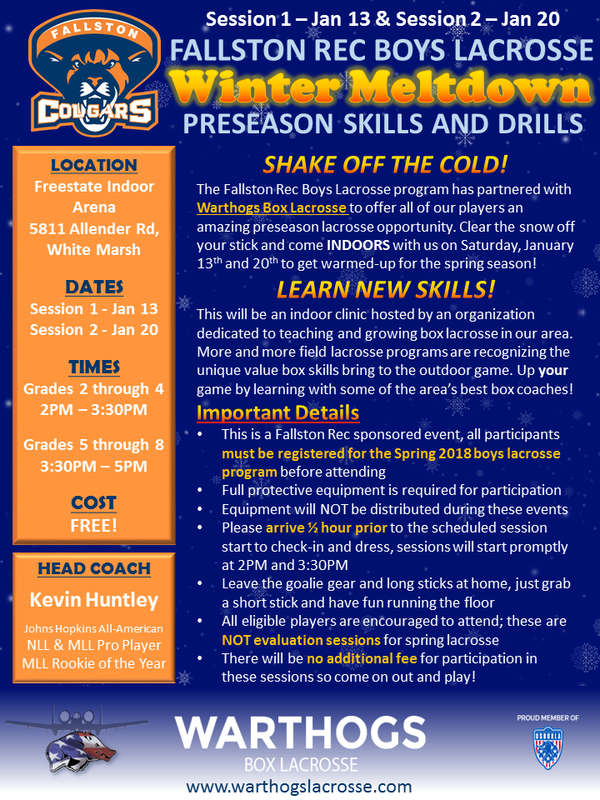 Skills and Drills: The lacrosse program is planning pre-season Skills and Drills sessions for all registered players. The exact dates and times are still in the works. Keep an eye out for future emails and check the website for updated information. 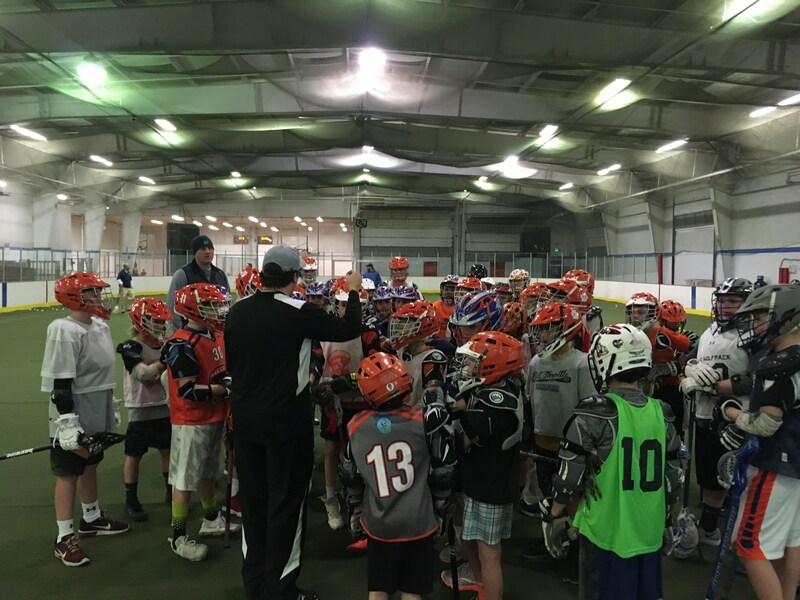 Registration for the Spring 2018 Fallston Rec Boys Lacrosse Softstick and Clinic programs will be closing today, 3/12. If you or anyone you know may still be interested in registering players for these age groups, please do so as soon as possible.